The relationship between the European Union and Turkey has historically been close, contested, and tortuous. Turkey has sought to become a full member of the European integration project since 1987. However, notwithstanding significant advances such as the establishment of the EU-Turkey Customs Union in 1995, bilateral relations have faced many difficulties: The dispute over Cyprus, episodes of economic and political turbulence in Turkey, and the open opposition among core EU countries like Germany and France to Turkish EU membership. The EU-Turkey relationship has deteriorated recently because of the Turkish government’s worrying pattern of imprisoning large numbers of the political opposition, journalists, and human rights defenders after the failed 2016 coup. In this context, the European Parliament demanded EU leaders suspend Turkey’s EU accession process. Numerous voices from European civil society and the political and academic spheres have even called for its termination. Gas and electricity have traditionally represented the cornerstone of EU-Turkey bilateral cooperation. In this complicated context, the EU-Turkey energy and climate relationship is considered by the EU as one of the few components of the EU-Turkey Positive Agenda —areas in which strong mutual interests prevail even during politically difficult times. Despite the fact that the energy chapter of Turkey’s EU accession process has not been opened—largely due to Cyprus’ veto—a bilateral energy relationship between the EU and Turkey has developed over the years. Nuclear energy and carbon markets have never been part of EU-Turkey bilateral cooperation. These two gaps should be filled, considering Turkey’s new nuclear energy program and global climate change mitigation efforts. Refocusing bilateral cooperation on renewable energy, energy efficiency, nuclear energy, and carbon markets would be more impactful and strategic for both the EU and Turkey. For the EU, it would provide an opportunity to put its sustainable energy leadership aspirations into practice, while opening up new commercial opportunities. For Turkey, it would enhance both climate and environmental performance, while reducing the energy import bill and energy dependency on Russia. This change in priorities is also important to avoid Turkey’s rush into coal. Turkey has put together one of largest coal power plant development programs in the world (after India and China), with more than 70 new coal-fired power plants currently in the pipeline, for a total planned installed capacity of 66.5 gigawatts. Turkey’s coal extraction and exploration activity has intensified in the last 10 years, and lignite reserves have consequently almost doubled since 2004. The government supports coal financially, either through production subsidies or investment incentives (e.g. special support for coal-fired power plants fueled by domestic resources, value-added tax waivers, support to offset investment costs and tax reductions). A renewed EU-Turkey energy and climate relationship focused on renewable energy, energy efficiency, nuclear energy, and carbon markets could help forestall Turkey’s coal rush, which would be highly detrimental for a wide range of climate, environmental and socio-economic reasons. Gas: An Overstated Component of Bilateral Cooperation? Gas has always been at the heart of EU-Turkey energy discussions. Turkey has emerged as a potential key transit country in a position to significantly contribute to the security of the EU gas supply, largely due to its strategic position between Europe and the gas-rich countries of the Caspian and the Middle East. In the early 2000s, developments became more concrete with discussions about the Nabucco pipeline, a project to channel up to 31 billion cubic meters (bcm) of gas from Azerbaijan, Turkmenistan, Iraq, and Iran to Europe via Turkey. Nabucco became the flagship project of the Southern Gas Corridor (SGC), a European Commission initiative started in 2008 with the aim of reducing the EU’s perceived over-dependence on Russian gas supplies. The SGC was intended to enable new supplies from the Caspian and Middle Eastern regions to reach Europe. The years of Nabucco, e.g. the early 2000s, were the golden age of EU-Turkey energy cooperation. It seemed that, together with gas, pipelines could also channel economic prosperity and political cooperation. However, the Nabucco project ultimately failed for a variety of commercial and financial reasons. The failure of the Nabucco project left the way open for the emergence of a smaller-scale version of the SGC, promoted by the only available regional supplier: Azerbaijan. Between 2011 and 2013, Azerbaijan proposed and started to develop the TANAP-TAP (Trans-Anatolian Pipeline and Trans-Adriatic Pipeline) in tandem, with the aim of providing six bcm of gas per year to Turkey and 10 bcm per year to Europe, starting in 2020. Refocusing bilateral cooperation on renewable energy, energy efficiency, nuclear energy and carbon markets would be more impactful and strategic for both the EU and Turkey. The EU-Turkey gas cooperation momentum unexpectedly revived in 2015, when Russian President Vladimir Putin surprised the energy world by dismissing the long-debated South Stream project in favor of TurkStream, a project intended to deliver 63 bcm/year of Russian gas to Turkey and Europe by bypassing Ukraine. However, it quickly became evident that a full-scale version of the project would never be advanced, and that only the first string of TurkStream would be built with the aim of re-channeling by 2019 the Russian gas currently flowing to Turkey via the Trans-Balkan Pipeline (which links Turkey to Russia via Bulgaria, Romania, Moldova and Ukraine). Only this first string is currently under construction. As a result of the TANAP-TAP and TurkStream developments, the volume of gas supplied to the EU via Turkey will diminish overall by 2020 (Figure 1), because Turkey will no longer import Russian gas via EU countries and because the EU will only scale-up its imports via Turkey to 2.5 percent of its consumption. Thus, in the short-term, too much importance is attached to the strategic relevance of gas in the EU-Turkey energy relationship. Source: Bruegel's calculations based on the International Energy Agency. ii) The Southern Gas Corridor is expanded to Turkmenistan, Iraq, and Iran. As noted by Tagliapietra and Zachmann, an expansion of the SGC would be possible only if the EU and Turkey make use of their complementary leverage in the region to overcome the geopolitical and commercial barriers to the regional gas trade, and only if the future evolution of the EU’s gas import requirements justifies new investments in gas infrastructure. This is not something to be taken for granted, especially given the speed of the ongoing EU decarbonization path. Gas transit is not the only way to evaluate the strategic level of the EU-Turkey gas relationship. Even if limited in volumes, the SGC could make it possible for both the EU and Turkey to access new suppliers. In gas markets, such options are an important asset, both for commercial and security reasons—notably in relation to large traditional suppliers such as Russia. However, in order to be effective, the available options should be viable and unencumbered by geopolitical and commercial barriers, as the SGC continues to be. It should also be noted, notwithstanding the predominant role of gas in the EU-Turkey energy relationship, cooperation in the field has never been institutionalized. One of the reasons behind Turkey’s reluctance to engage in institutional platforms such as the European Network of Transmission System Operators for Gas (ENTSO-G) or the Energy Community, is its reluctance to liberalize its gas market. Turkey never fully implemented its Natural Gas Market Law of 2001—which would align the Turkish market to the EU’s standards—notably to avoid splitting up the state-owned oil and gas company BOTAŞ and to avoid giving other companies non-discriminatory access to BOTAŞ’ pipelines. Turkey has put together one of largest coal power plant development programs in the world. Bilateral Electricity Cooperation: What’s Really at Stake? Since the early 2000s, electricity has become an important component of the EU-Turkey energy relationship. By implementing the 2013 Electricity Market Law, Turkey liberalized its market in line with the EU Third Energy Package, which opened almost 90 percent of the EU electricity market to competition by the end of 2015. In 2015, after a trial period lasting several years, the Turkish electricity grid operator, TEİAŞ, and the European Network of Transmission System Operators for Electricity (ENTSO-E) signed a long-term agreement on a permanent synchronous operation between the Turkish and continental European electricity systems. As a result, it became possible for Turkey to use interconnections with Bulgaria and Greece to export a maximum of 400 megawatts (MW) and import up to 500 MW. TEİAŞ further strengthened its engagement with ENTSO-E in 2016 by becoming its first observer member. On the basis of these developments, Bulgaria and Greece have since 2015 become Turkey’s main electricity trading partners. In 2015, Turkey imported 7.1 terawatt hours (TWh) of electricity from Bulgaria and 3.2 TWh from Greece—amounting to two percent of Turkey’s consumption. This electricity trade, however, remains limited both regionally and across the EU (Figure 2). EU-Turkey cooperation on renewables and energy efficiency is much less developed than cooperation on gas and electricity, and has mainly consisted of European financial support for renewable energy and energy efficiency projects in Turkey. This support has been provided by the European Investment Bank (EIB), the European Bank for Reconstruction and Development (EBRD), and the European Commission, dating back as far as 1965 (Table 1). Source: Bruegel’s calculations based on EIB, EBRD, Midseff annual reports. The most significant initiative currently in place is the Turkish Mid-size Sustainable Energy Financing Facility (MidSEFF), a one billion euro facility that provides loans to Turkish banks to finance renewable energy, waste-to-energy, and industrial energy efficiency projects. So far, 42 projects have been financed by this facility, and over 700 MW have been added to Turkey’s renewable generation capacity. Stronger EU-Turkey cooperation in the field could have a major positive impact, particularly taking into account the still limited development of renewable energy and energy efficiency in Turkey. Too much importance is attached to the strategic relevance of gas in the EU-Turkey energy relationship. Since 2009, Turkey has developed plans to construct three nuclear power plants in Akkuyu, Sinop, and İğneada, on the basis of intergovernmental agreements with Russia, Japan, and China respectively. Preparations are most advanced at the Akkuyu site in southern Turkey, where the units should be online by 2023. For the Sinop and İğneada projects, feasibility studies are ongoing at the time of writing. Setting up a nuclear energy sector is an enormous task for any country, considering the size and complexity of the technical and regulatory challenges. Europe could make a sensible contribution to Turkey’s plans in this regard, notably via Euratom, which has cooperation agreements with third countries. to ensure free movement of capital for investment in nuclear energy and free movement of employment for specialists in the sector. Euratom could, with its well-established framework and expertise, provide Turkey with great support for the implementation of its nuclear energy plans. This would be positive for both Turkey and the EU, notably in terms of regional nuclear safety. Engaging Turkey through Euratom appears to be a far more constructive approach than that pursued by the European Parliament in a July 2017 resolution, which called for Turkey to involve or consult neighboring countries (e.g. Greece or Cyprus) in relation to the construction of the Akkuyu power plant. For Turkey, developing a full-fledged climate policy has never been a priority. Turkey became a party to the United Nations Framework Convention on Climate Change in 2004 and to the Kyoto Protocol in 2009, but because of its status as a developing country, it was exempt from a binding emissions reduction target. In this context, Turkey has never considered the possibility of creating a carbon market. Bulgaria and Greece have since 2015 become Turkey’s main electricity trading partners. In the framework of the Paris Agreement, Turkey pledged to reduce its greenhouse gas emissions by at least 21 percent below a business-as-usual scenario from 2021 to 2030. Considering the current rising trend in Turkey’s greenhouse gas emissions, achieving this target is not going to be an easy task (Figure 3). Source: Bruegel’s calculations based on the International Energy Agency. As suggested by the IEA, Turkey should boost its institutional capacities and collaborations in the climate field by developing new financial mechanisms such as carbon markets. After all, this is exactly what other developing countries, notably China, are doing. For example, MidSEFF includes a “Carbon Market Development Support Programme” through which it seeks to contribute to the development of the Turkish carbon market. The programme, still in its embryonic phase, aims to promote the participation of Turkish banks and companies in carbon markets in Turkey and abroad by offering capacity building and support for carbon projects. Having developed the largest carbon market in the world, the EU could offer unique institutional support to Turkey in this field. Since 2014, the EU and China have cooperated on the design and implementation of China’s carbon market. There is no reason why the EU and Turkey should not pursue similar cooperation. In order to further develop the EU-Turkey energy and climate relationship, each partner’s priorities should be realistically assessed. Promoting itself as a global leader in sustainable energy, the EU has a clear interest in cooperating on decarbonization with third countries such as Turkey. This interest is political as well as commercial, since Turkey represents an important—and still largely untapped—market for European companies dealing with renewable energy and energy efficiency. The one-gigawatt wind power project awarded to Siemens in August 2017 represents a good example of such potential. Reinforced cooperation with the EU on climate issues could make an important contribution to Turkey’s decarbonization efforts. However, given Turkey’s still modest political momentum on the issue, decarbonization should not be considered as the winning argument to engage Turkey in stronger cooperation in the field. By contrast, Turkish policymakers are likely to be receptive to solutions that reduce the country’s external energy dependency in a sustainable manner. For Turkey, developing a full-fledged climate policy has never been a priority. Having negligible domestic resources, Turkey imports almost all of the oil and gas it consumes. The Turkish government considers this to be a major vulnerability, both from an economic (i.e. the energy import bill) and a foreign policy (i.e. over-reliance on Russian gas) perspective (Figure 4). Source: Bruegel’s calculations based on the Central Bank of the Republic of Turkey and the International Energy Agency. The energy efficiency target seems to exist only on paper because between 2005 and 2015, Turkey’s energy intensity (i.e. energy consumption per unit of GDP) increased by 7 percent, while it decreased in all other IEA countries by 16 percent on average. In reality, as previously noted, the Turkish government seems to be addressing Turkey’s energy import dependency issue by making greater use of coal. According to estimates by Şahin et al, Turkey’s current coal program could double the country’s greenhouse gas emissions from around 460 million tons in 2013 to around 860 million tons per year. Safety: As demonstrated by the May 2014 disaster at the Soma coal mine in western Turkey, in which 301 miners were killed, coal exploitation can have huge human costs. Expanding coal mining will inevitably increase this risk. For all these reasons, Turkey should avoid a coal rush. The EU can provide support by making a stronger case for renewables and energy efficiency investment in Turkey. Over the last decade, wind and solar power have become increasingly cost-competitive with conventional generation technologies because of material declines in the pricing of system components and dramatic improvements in efficiency. For instance, Lazard estimates wind costs to have decreased by 66 percent since 2009 and utility-scale solar to have decreased by 85 percent. However, given the high share of capital cost for renewables, the main variable for the speed at which renewables can become competitive in Turkey is the cost of capital. This is also the case for EU countries, where the cost of capital for renewable investments ranges from 3.5 percent in Germany to 12 percent in Greece, as a consequence of different policy risks for investors (e.g. differences in the national regulatory frameworks that support the deployment of renewable energy sources). The EU could make a considerable contribution in terms of lowering the cost of capital for sustainable energy investments in Turkey, notably by scaling up its blended finance toolkit for Turkey’s sustainable energy projects, i.e. subsidizing investments in Turkey by taking over some risks. In the framework of the Paris Agreement, developed countries extended their goal of jointly making available 100 billion dollars per year until 2025 to support mitigation and adaptation action in developing countries. For instance, in 2015 the EU and its member states contributed 17.6 billion euros to this climate finance effort, of which 1.5 billion euros came from the EU budget and 2.2 billion euros from the EIB. Greater EIB engagement in Turkey would leverage additional financing, in particular from the private sector because its risk-mitigation and credit-enhancement tools would reduce the risks for private investors and would enable European energy companies to act more confidently in the Turkish market. An enhanced EIB role is particularly important in the current investment climate, in which foreign direct investment (FDI) in Turkey is rapidly falling (from $17 billion in 2015 to $12 billion in 2016). Given the magnitude of Turkey’s coal program and of the related potential greenhouse gas emissions, increasing the EIB’s support for the development of renewable energy and energy efficiency in Turkey would be a significant step in contributing to global climate change mitigation. Cooperation over energy and climate issues could be one of the few components of the EU-Turkey positive agenda. However, to make a real impact on long-term energy, climate, and environmental sustainability and on overall macroeconomic and geopolitical stability, current priorities in the field should be changed, shifting the focus from the highly visible but less impactful gas and electricity sectors to sectors such as renewable energy, energy efficiency, nuclear energy, and carbon trading. On renewables and energy efficiency, the EU should scale up the financial support it currently provides within the framework of its climate finance commitments. This would make a stronger case for renewables and efficiency projects in Turkey, particularly as the cost of capital continues to represent a major barrier for these investments. On nuclear energy, the EU can make a sensible contribution to the establishment of a nuclear energy sector in Turkey. This can notably be accomplished by integrating Turkey into the framework of Euratom. On carbon markets, the EU can offer institutional support to Turkey, as is already being done with other countries such as China. Only by shifting these priorities can EU-Turkey energy and climate cooperation take on a truly strategic role as part of the EU-Turkey relationship and ultimately become a vibrant component of a much-awaited Positive Agenda. Launched in 2012, the “positive agenda” seeks to complement and enhance Turkey’s accession process by fostering cooperation in a number of areas of joint interest, including energy. Such as a weak outlook for EU natural gas demand, uncertain deliverability of supplies, potential competition from the Russian South Stream pipeline that was supposed to bring gas from Russia through the Black Sea to Bulgaria, and lack of guarantees or long-term ship-or-pay contracts that would facilitate access to bank loans. For an in-depth analysis of these developments, see Simone Tagliapietra, Energy Relations in the Euro-Mediterranean (Palgrave Macmillan: London, 2017). South Stream was a pipeline project to transport natural gas of the Russian Federation through the Black Sea to Bulgaria and through Serbia, Hungary and Slovenia further to Austria. The project was abandoned after a long-lasting dispute between Gazprom and the European Commission over the project’s compliance with EU legislation, and most notably with the EU Third Energy Package. For the same reason why South Stream was abandoned (e.g. compliance with EU legislation), and for commercial reasons (e.g. high infrastructure costs of linking TurkStream to Central European markets). As outlined by Tagliapietra and Zachmann (2015), geopolitical issues such as the international dispute over the legal status of the Caspian Sea, the difficult political relationship between Iran and Turkey and the turbulent political situation in Iraq, all represent major barriers to the scaling-up of the Southern Gas Corridor. On top of this, there are commercial barriers, such as weak gas demand in Europe and low competitiveness compared to Russian gas supplies to Europe via existing infrastructure. Euratom was founded in 1957 with the aim of creating a European market for nuclear power. It is composed of EU member states. Resolution of 6 July 2017. 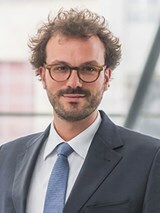 Simone Tagliapietra is a Research Fellow at Bruegel, a Brussels-based economic think tank; an Adjunct Professor of Global Energy Fundamentals at the Johns Hopkins University SAIS Europe in Bologna; and a Senior Researcher at the Fondazione Eni Enrico Mattei research institution in Milan.